Too much sun can damage the eyes. As with skin damage, it is the ultraviolet (UV) radiation from the sun which causes problems. Damage to the eyes from UV radiation is cumulative, meaning it builds up over our lifetime and can have a permanent effect on our eyes and eyesight. In Australia, with our high levels of UV radiation, we need to take special care to protect our eyes. Even on cloudy days we should wear sunglasses to reduce the ultraviolet radiation reaching our eyes. UV radiation is invisible to us and is composed of 3 main wavelengths: UVA, UVB and UVC. UVB rays are mostly absorbed by the cornea (the outermost layer on the front of the eye) and so do not penetrate through to the retina, unlike UVA radiation which passes through the cornea to the lens and retina of the eye. UVC radiation is filtered out by the earth’s atmosphere. As well as from the sun, UV radiation is emitted in very high amounts by solariums and sunbeds. In the short term, exposure to high doses of UV radiation can cause certain eye conditions. Photokeratitis is inflammation of the cornea (the dome-like outermost front part of the eye) caused by UV radiation. Photoconjunctivitis is when the conjunctiva (the mucous membranes on the front of the eyeball and inside the eyelids) are inflamed by UV radiation. Both feel like a sunburn to the eye and are caused by UVB rays. They can be caused by directly looking at the sun, or by reflected UV from snow, concrete, water and sand, or from arc welding. Snow blindness is a form of photokeratitis. Welder’s flash or ‘arc eye’ is another form. Burns to the retina are more serious and permanent and can be caused by looking at a solar eclipse. The effects of sunlight on the eye are cumulative and depend on the length of time spent in the sun. For example, farmers are likely to develop problems such as cataracts at a younger age than office workers. The sun’s damage to the eyes does not stop with cataracts. Exposure to both visible light and UV radiation is also a factor in the gradual degeneration of the retina, damage to the cornea, and pterygium (an overgrowth of the conjunctiva). UV rays are one of the known causes of cataracts, a gradual clouding of the lens of the eye that can destroy vision. Cataracts develop slowly, but eventually will result in symptoms, such as blurriness, halos around lights and blurred vision. Experts say that sunglasses help prevent cataracts. They recommend wearing them whenever the light is bright enough to make you squint, even on cloudy days and especially at high elevations. Sometimes called ‘surfer’s eye’, pterygium is a soft fleshy overgrowth of the conjunctiva, the clear layer on the surface of the eyeball and inside the eyelids. A pterygium usually starts at the corner of the eye near the nose. Pterygia are usually flesh-coloured and pink. They occur in people who spend long periods of time outdoors exposed to UV light, such as surfers. Dusty environments may also contribute to the development of pterygia. A pterygium is usually painless, but if left untreated it may grow across the cornea and cause vision problems. For this reason they may be surgically removed. They may also cause problems for contact lens wearers. Pterygia are benign and do not cause cancer. A pinguecula is a yellow-ish or chalky-coloured growth on the conjunctiva. Like a pterygium, it often forms in the corner of the eye near your nose, but differently, it will not grow across the cornea. However, it is believed that a pinguecula can turn into a pterygium. As well as UV light, wind and dust are thought to contribute to their development. Pingueculae are also benign (non-cancerous). These are slow growing tumours, but can result in loss of sight. The main risk factor is exposure to ultraviolet radiation from the sun. They appear as a nodule on the front of the eye, and there may be visible blood vessels leading to the nodule. Skin cancers around the eyes, especially on the eyelids, are common in Australia due to our high exposure to UV. Lesions on the eyelids can be benign (tumours which don’t spread) or malignant (cancerous), so should always be examined by a doctor or dermatologist, as should any spots, moles or other lesions around the eyes. Macular degeneration is a disease that leads to progressive loss of central vision, leaving a person with blurred or no vision at all in the centre of their field of vision. The Cancer Council Australia states that long term UV radiation exposure is associated with macular degeneration. UVA is responsible for most damage to the macula - an area in the centre of your retina. Staring directly at the sun causes damage to the retina as described above, and looking at a solar eclipse is no different. Normally, the sun is so bright it causes you to look away and your pupils to constrict, but during an eclipse the normal brightness of the sun is obscured by the moon. This allows more UV light to enter your eye. Staring at a partial solar eclipse can cause photokeratitis as well as more permanent burns to the retina. You won’t feel anything but your retina will be burned. There is no safe way for the naked eye to look at a solar eclipse. If you want to watch an eclipse, you can get special eclipse glasses (normal sunglasses are not safe at all) or you can watch it on TV. In Australia we have some of the highest UV radiation levels in the world. Unfortunately, the UV index does not reflect the amount of exposure to UV that your eyes get, so the Cancer Council Australia recommends protecting your eyes from UV at all times when outside during daylight hours. Even on cloudy days ultraviolet radiation may still be high. UV radiation also bounces off surfaces such as snow, concrete, water and sand, leading to increased exposure for a person. When the sun is low in the sky, UV radiation is directed straight into the eyes, so depending on the angle of the sun, your eyes might be subjected to more UV radiation in the morning and afternoon, than from the midday sun. Similarly, the heat of the sun bears no relation to the amount of UV radiation - UV radiation can’t be felt. It is relatively easy to prevent UV damage to the eyes by wearing a good pair of close-fitting, wraparound sunglasses that meet Australian standards (categories 2, 3 and 4) and a wide-brimmed hat. Reduce your exposure to the sun where possible. Sunglasses must be wraparound - non-wraparound sunglasses will not block the peripheral UV light which comes in around the edge of the frames. Close-fitting wraparound sunglasses reduce both direct and reflected UV radiation - and block glare. Glare can contribute an added dose of UV, when light is reflected off a surface such as water, snow, sand or concrete. Wrap-around frames protect your eyes from all angles and are a good choice if you are outdoors all day. The Australian/New Zealand Standard for sunglasses has 5 categories of lenses, based on the amount of UV radiation that is able to pass through the lens. These range from Lens Category 0, which are fashion glasses with very limited UV protection, through to Lens Category 4, which are special purpose sunglasses that provide a high level of sun glare reduction and good UV protection, however, Category 4 can't be used for driving. Darkness of the lenses or cost of the sunglasses does not necessarily reflect the quality. Always check the label for the level of UV protection they provide. In addition to the Category, sunglasses may also be labelled "UV400" - these block 100 per cent of UV radiation. Most sunglasses list absorption figures or UV protection figures on their labels. Cancer Council Australia recommends wearing sunglasses that meet the Australian Standard AS/NZS 1067:2003 for sunglasses (categories 2, 3 or 4). Glasses labelled 'fashion spectacles' (categories 0 and 1) are not sunglasses and do not provide enough UV protection. Sunglasses labelled EPF (Eye Protection Factor) 9 or 10 transmit almost no UV radiation. UV protection depends mainly on the material that sunglasses are made of and how much UV light it absorbs, rather than on the colour and darkness of the lenses. Dark lenses do not necessarily protect against UV rays more than lightly tinted lenses. However, colour and darkness of sunglass lenses can affect glare and how suitable the glasses are for specific uses, such as driving. Grey lenses provide good protection against glare and do not distort primary colours so they are good for driving. Green lenses let the maximum amount of useful light reach the eyes on an overcast day. Brown lenses sharpen detail and provide better protection against glare. If sunglasses are to be used for driving, then check that they are not labelled as Australian Standard category 4 ("must not be used when driving") and that colours are easily recognised when viewed through the lenses. Polarisation cuts out horizontal glare reflected from surfaces such as water, sand and snow. Because polarised lenses cut reflected glare, they are perfect for skiing, boating and the beach. The Australian Standard does not apply to prescription glasses, but some prescription glasses may protect against UV radiation. Check with your optometrist or consider adding a UV-protective coating or clip-on shades to your prescription glasses. If you wear lenses that darken when exposed to sunlight, ask your optometrist what level of protection they provide - they do not necessarily filter out UV radiation. Remember that unless your prescription glasses are a wraparound style they will not prevent UV radiation from reaching your eyes or the skin around your eyes. There are contact lenses available that block UV, but they won’t protect the rest of your eyes not covered by the contact lens, or the surrounding skin from UV radiation. And they don’t necessarily block all UV light, so you will still need to protect your eyes with sunglasses. Children and young adults are more vulnerable to sun-induced eye damage, so the habit of wearing good sunglasses and a sun-protective hat should start early. For children’s sunglasses, look for shatterproof lenses in addition to the above features — they are also a good idea for adults who are rough on sunglasses or who play sport. Wearing a broad-brimmed hat can reduce the UV exposure reaching your eyes by 50 per cent. Staying in the shade can also reduce your exposure. Some medicines (for example some antibiotics and some glaucoma medicines) can make your eyes more sensitive to light - called photophobia. If you are having problems with your eyes being sensitive to light, talk to your doctor or optometrist. Some illicit drugs, such as cocaine, have the same effect. 1. Cancer Council Australia. Position Statement: Eye Protection. July 2013. http://wiki.cancer.org.au/policy/Position_statement_-_Eye_protection#_ga=1.113651136.676418479.1441328020 (accessed Sept 2017). 2. Optometry Australia. UV protection. http://www.optometry.org.au/your-eyes/your-eye-health/sun-safety/ (accessed Sept 2017). 3. World Health Organization. Ultraviolet radiation. The known health effects of UV. http://www.who.int/uv/faq/uvhealtfac/en/index3.html (accessed Sept 2017). 4. American Academy of Ophthalmology. What is photokeratitis - including snow blindness? https://www.aao.org/eye-health/diseases/photokeratitis-snow-blindness (Reviewed Sept 2016) (accessed Sept 2017). 5. Prevent Blindness. How can UV rays damage your eyes. https://www.preventblindness.org/how-can-uv-rays-damage-your-eyes (accessed Sept 2017). 6. American Academy of Ophthalmology. 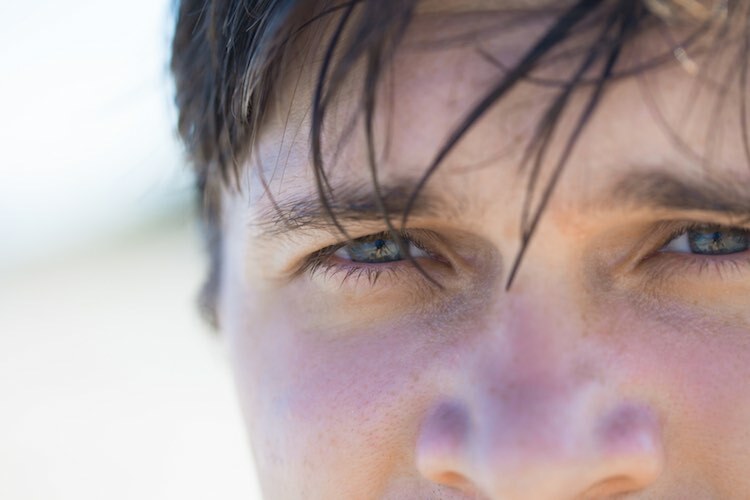 What Is a Pinguecula and a Pterygium (Surfer's Eye)? View our animation to see how exposure to the sun's harmful rays cause tanning and skin damage.